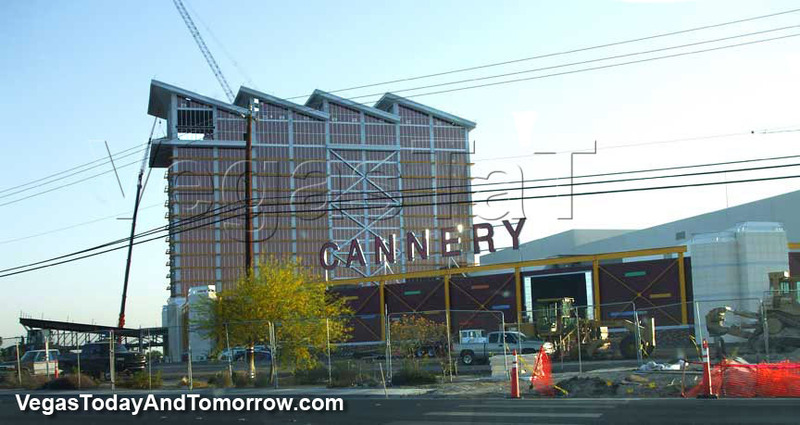 Eastside Cannery opens tonight at 8:00 p.m.
On April 30th 2007, Cannery broke ground on East Side Cannery in East Las Vegas (Boulder Hwy. 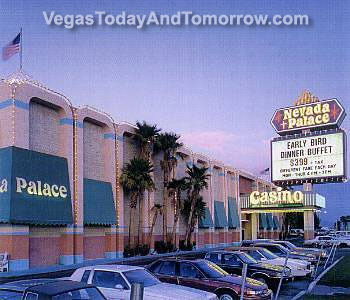 at Harmon) to replace the Nevada Palace Casino. 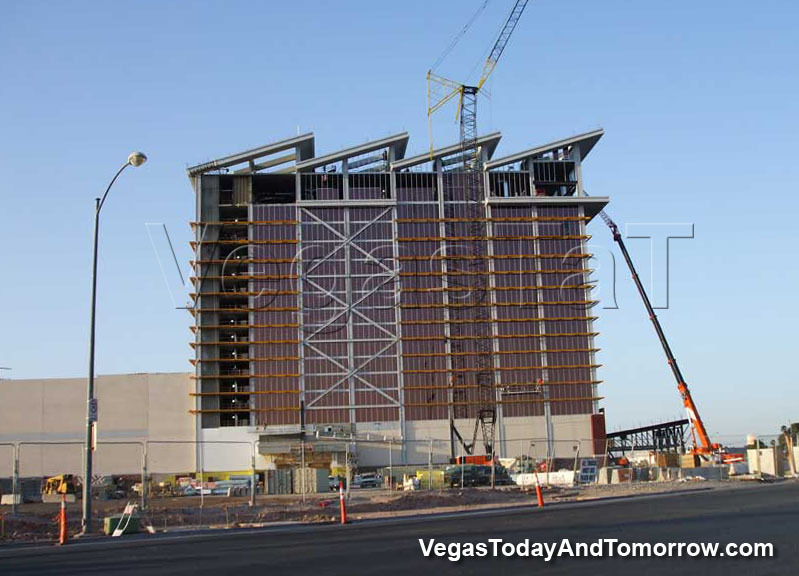 The $250-million project will add 307 hotel rooms, a 65,000-square-foot casino with 2,000 slot machines, and 26 table games. 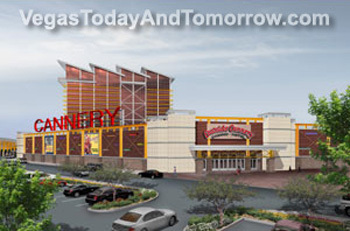 It will also have 20,000 square feet of meeting space, five restaurants, a bingo hall, spa, pool, and a lounge on the top floor that will overlook the valley. 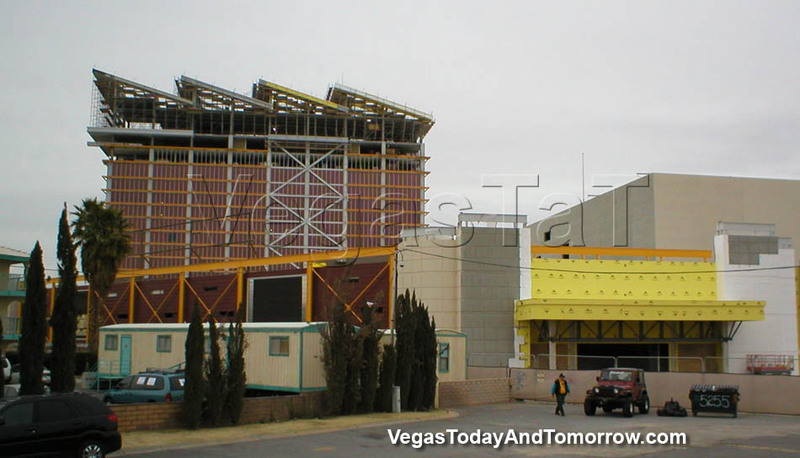 The photos (right) show the existing casino and the rendering. The new 16-story hotel tower is designed to resemble a silo which is a fun alternative to the standard corporate hotel fare. 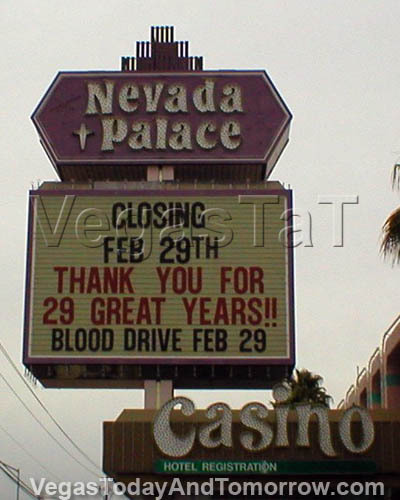 Ample-sized 450-sq.-ft. rooms with plasma TVs, will fill the tower. The corner suites will be 600 sq. ft. and five 900-sq.-ft Executive Suites will fill the top floor. 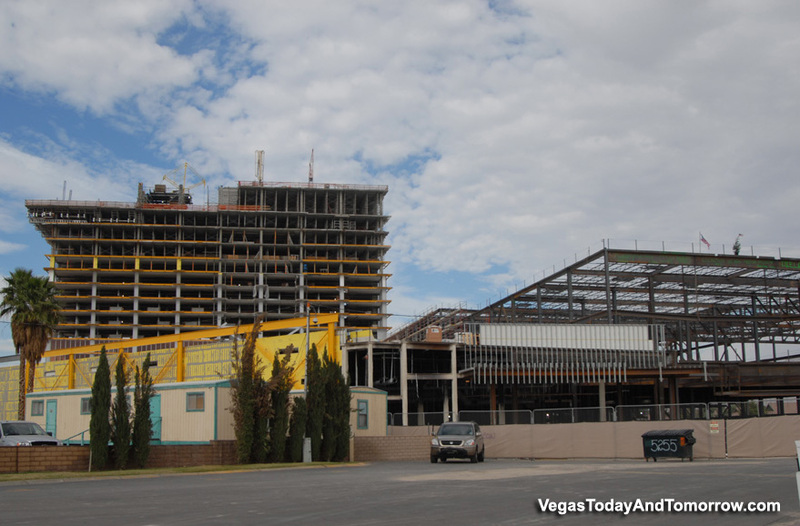 The transformation of Nevada Palace to Eastside Cannery is moving along nicely. 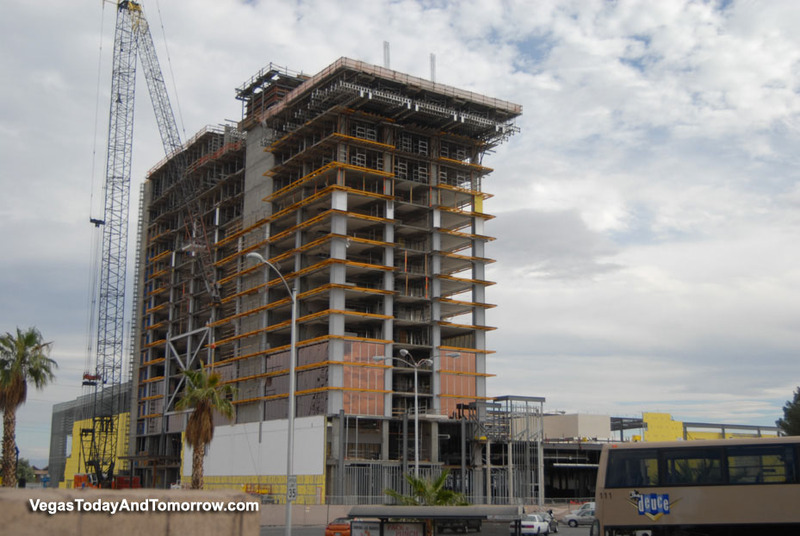 The tower is topped-out (left).